Aprimo Digital Asset Management manages end to end content creation for all marketing needs. Govern and grow your digital brand footprint by managing any product and content, from any source, in any format. 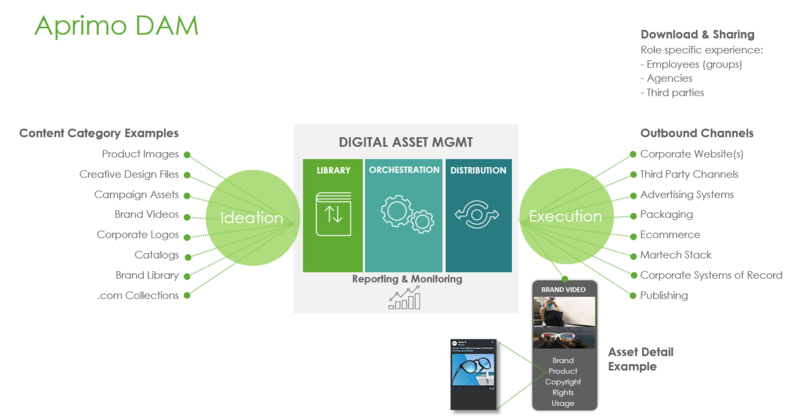 Aprimo Digital Asset Management (DAM) enables marketers, creatives, agencies, and merchants to collaborate on the creation and approval of content and drives brand experiences across channels and regions.